Find some local flavor on your Enchanting Travels tours! Festivals are the magic masala to spice up your Enchanting trip. Unearth vibrant traditions, food, arts and religious rites. Here are just some of our favorite festivals to discover for the rest of the year and into 2013. What: Discover the Festival of Lights where good is victorious over evil. 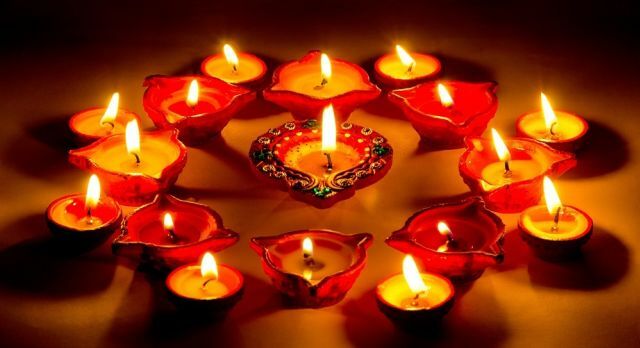 Diwali, is a major Indian festival that is very significant across Hinduism, Sikhism and Jainism and is celebrated with fireworks and lamps, particularly within North India’s Delhi and in Rajasthan. On your Enchanting Travels tours to India, experience Diwali melas (fairs) that boast performances by jugglers, acrobats, snake charmers and fortune tellers. Enchanting Travels Top Tip: Enjoy the fair rides, puppet shows or elephant and camel rides and the traditional practice of henna painting for women. 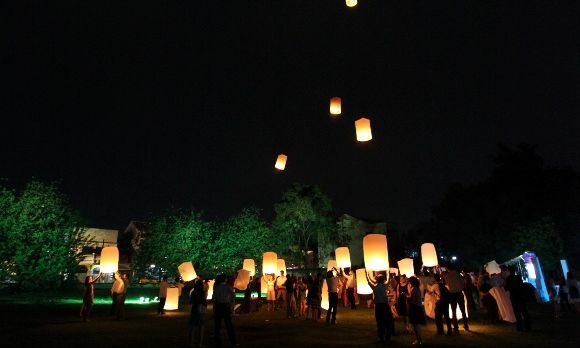 What: Imagine the scene as the warm hue of thousands of mulberry-paper lanterns float into the night sky or in lotus-shaped receptacles along the river. The purpose of this festival was traditionally to give reverence to water spirits but has evolved into a night that embraces the graceful beauty of the Thai people and culture. Colorful floats parade down street to soulful chanting on this full moon night celebration. Enchanting Travels Top Tip: The best spot to witness celebrations is Ping River in Chiang Mai, Northern Thailand. What: Prior to the Spanish colonizing South America, the ancient indigenous Uro people celebrated their gods with ancient rituals. This pagan folk event has fused with the Catholic faith and grown in the last 2,000 years. Witness 10,000 dancers in action with feathers and spears on your Enchanting Travels tours and discover the traditional woven textiles of the country. Read more about the top ten things to do in Bolivia. Enchanting Travels Top Tip: Add this festival to your bucket list as this is one not to miss. UNESCO agrees, naming it one of the Masterpieces of the Oral and Intangible Heritage of Humanity! 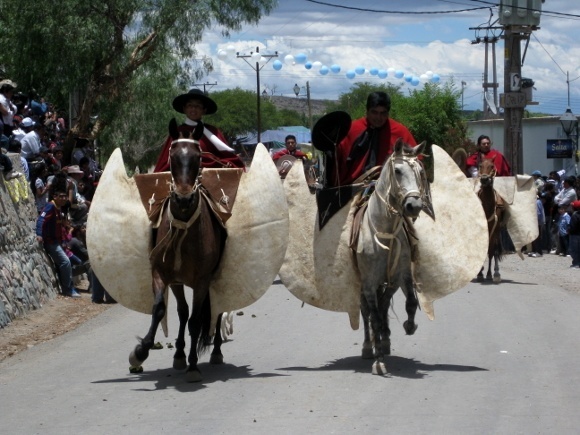 What: The Catholic religious festival during Easter in South America provides many rituals and processions, commencing on Domingo de Ramos (Palm Sunday) and finishing on the Pascua or Domingo de Resurrección (Easter Sunday). Religious or not, all guests are welcomed and part of the celebrations of street parades and sharing “huevos de Pascua” (chocolate eggs). Enchanting Travels Top Tip: Most communities reenact the Passion Play in full costume which is a must-see! What: A 72 hour celebration of Independence, the festival focuses around the island’s rich traditions and family, summed up as Kueto Siriwala – “don’t forget your roots, regardless of how far away from home you are.” Ibo Island is lively with women singing and a traditional snake-like dance “Nyoka” is performed. 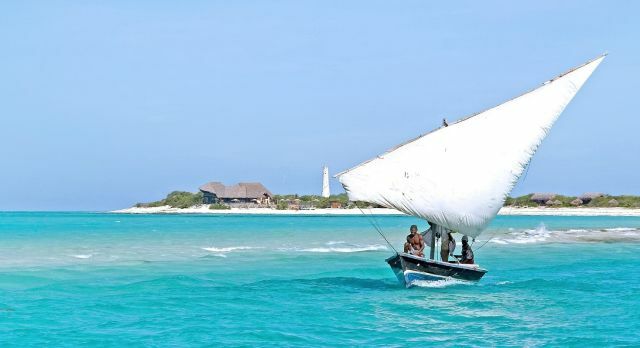 On Enchanting Travels tours to Mozambique, you have the opportunity to interact with local people and discover the culture. The air is scented with sweet coconut milk and fresh seafood and tropical fruits are abundant. Enchanting Travels Top Tip: Highlights of the festival are watching a game of soccer alongside hundreds of local supporters and the midnight “fogueira” or bonfire lighting. Design your trip around one of these and many more festivals. We are happy to make suggestions for you!